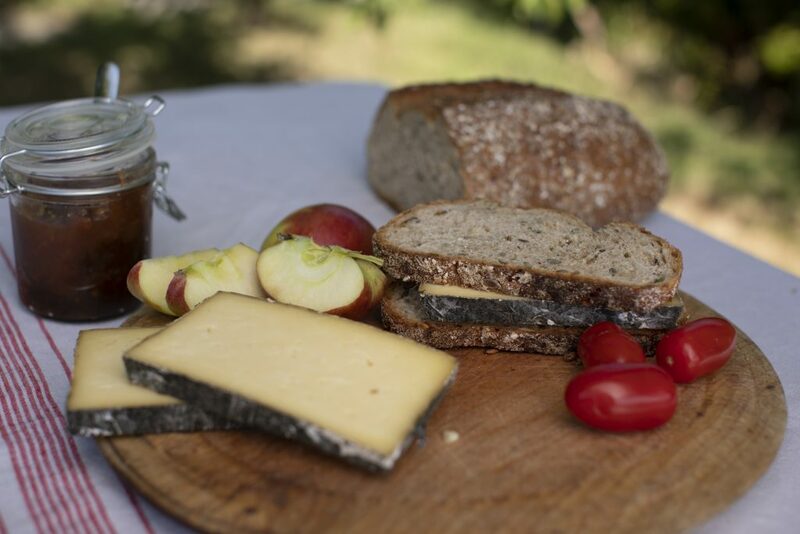 Cornish Yarg and Wild Garlic Yarg are perfect examples of seasonal cheeses. We might make them all year round but their story really starts with their natural rinds. The proliferation of fresh leaves – both nettles and ramsons – that fill the Cornish woodlands and hedgerows in spring are Yarg’s starting point. We gather in thousands of tonnes of the very greenest (judging by shape and perfection too). These leaves are then frozen to be used through summer, autumn and winter…and then we pick again. Fileds around the dairy burst with new grass growth too, giving our carefully selected local herds a great start to the seasonal year. And as for us humans and our munching habits? Think nettled Yarg and walnut bread, Wild Garlic Yarg with oatcakes and a crunchy apple or cube some into a green salad. If you’re flipping burgers, pop a slice of Yarg onto the chargrilled top of one – as soon as it starts to melt, cap it with a floury bap, reverse it to toast the bread, on goes the relish, et voilà! If that doesn’t get you all eating outside, what will? Here’s to renewal, warmth and lots of fresh air! A marriage made in heaven – out of cheese! Are you planning a wedding this year? If so, we bet you’ve already had the discussion about cake or cheese tower (don’t stress about it too much, you can always go for both!). 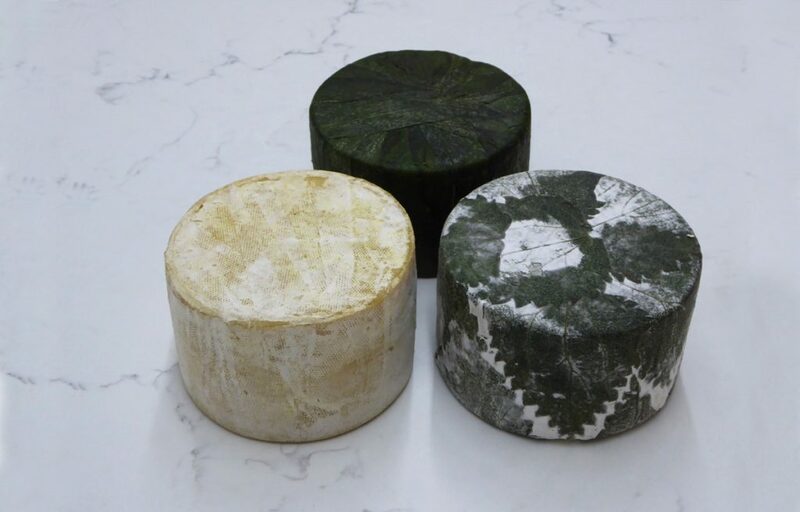 Cornish Yarg and Wild Garlic Yarg both have stunning rinds, which is what the wedding cheese tower is really all about. More often viewed from the side, you will want your guests to be wowed by texture, colour and design. Using both Yargs (in different sizes) works stunningly well. They have contrasting patterns, different shades of green and just as importantly, distinctly different tastes. Contrast them with a soft cheese with a creamy rind, and, if it’s a big gathering, consider a harder farmhouse cheese with a dark wax outer – don’t forget our World Champion Kern here! We sell it in 4kg truckles so this would be the perfect base. Please do get in touch if you want to discuss possibilities. We love to talk weddings! Have you resolved to eat more healthily in 2019 – start with Yarg! The list is longer, but you get the gist! So if your resolution is to eat more healthily this year, you could do a lot worse than reaching for the Yarg when you’re after a snack. Home made bread and a smidgeon of butter is allowed too (in our book anyway). What’s on your festive cheeseboard? Gone are the days when the Christmas cheeseboard could be solved by a cursory supermarket sweep. Interest in British artisan cheese has soared in the last decade helped by small producers like us. It’s a friendly industry to belong to. We meet up often, and are always interested in each others’ working processes and techniques (not to mention the tasting sessions). So it gives us a real sense of pride and pleasure to see Yarg, Kern or Stithians included on a festive cheeseboard. We hope some of our cheeses have found their way on to yours and that you enjoy every crumb. We’ll be suggesting what to do with any leftovers in the new year (not that you’ll have any!). Our customer research told us you wanted to be able to buy Stithians more easily so this winter, we’re going to be selling our Stithians cheese in 900g baby truckles direct from our dairy online shop. Affectionately known as ‘Naked Yarg’, Stithians is made to the same recipe as Yarg but left to mature without being wrapped in leaves resulting in a fresh, young cheese with lemony hints. A creamy, delicate taste makes it a delicious and versatile cheese for sharing. 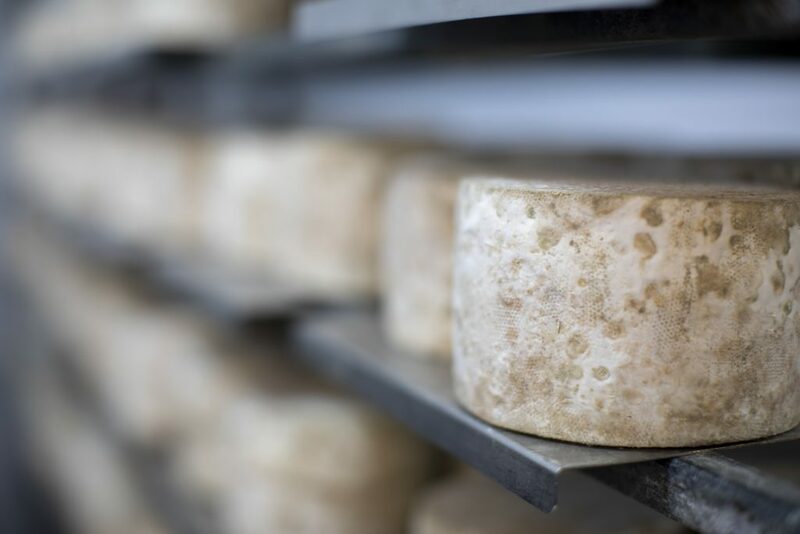 We also make Stithians in larger wheels, leaving them to mature for much longer which creates a harder cheese with deeper flavours and more farmhouse in nature. Check out our new shop page now!